Greenery of plans always held precious to eyes and every home lover just want to make it a part of home decors to view it daily! To see the natural greenery is also a healthy experience you can instantly refresh your mood with it. 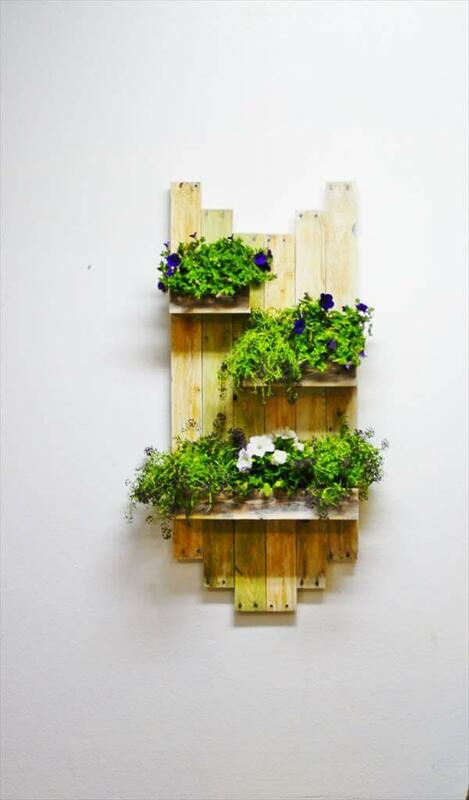 These DIY recycled pallet hanging planter will surely help you to get your favorite flowers and herbs more close to you! 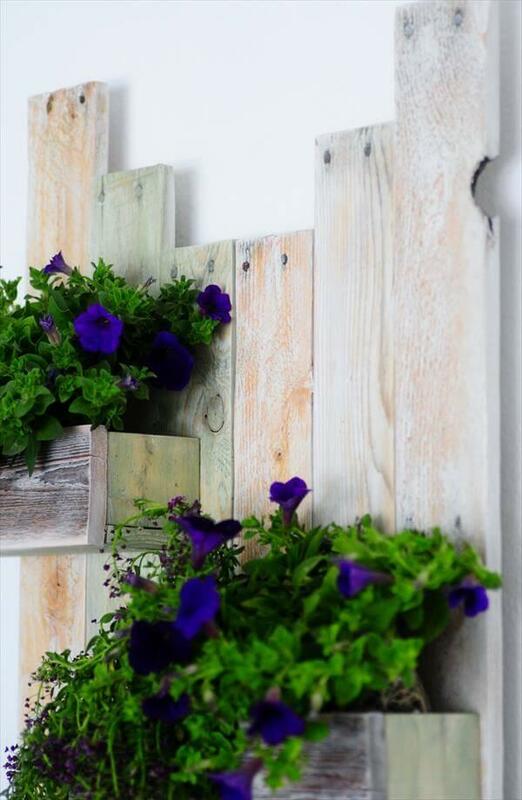 These beautiful pallet shelves have been featured with some wooden boxes to serve as pallet planters to let your favorite flowers popped up in them. 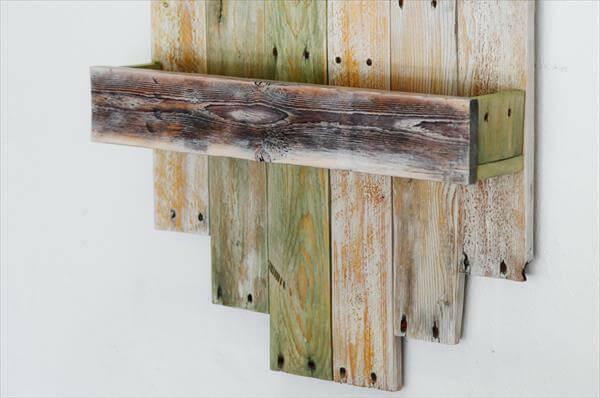 Simple get some pallet boards and break them to use the individual lengths for installation of this floating unit of shelves. To hang this amazing shelving unit on your favorite wall area two hanging bracket have been used at the back side of it. 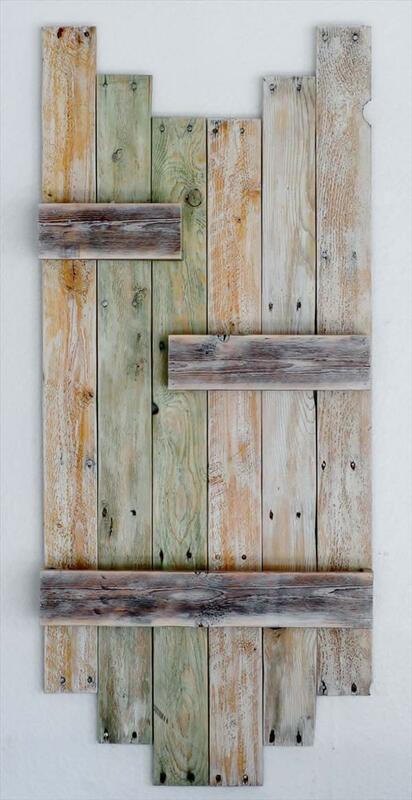 To lock the integrity of wood for a long time different stains have been used like sage stain and antique white stain. 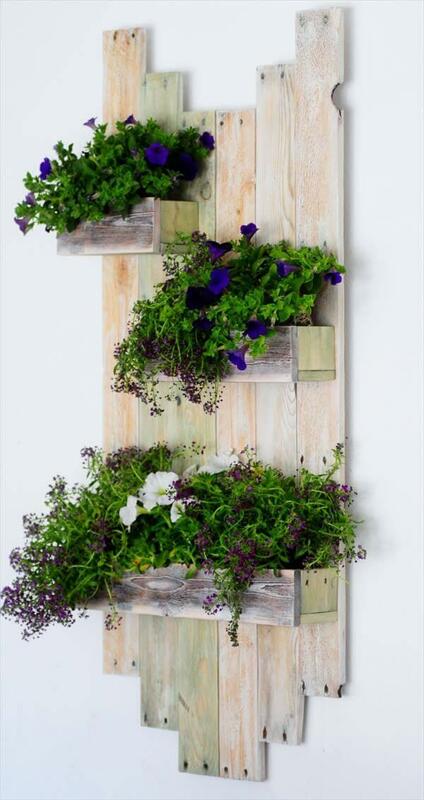 Wood has also been sealed with gloss sealer to ensure lifetime stability of this DIY pallet planter ! Do try it at home!